A friend asked me to make a LFO output for his Korg Monotribe. 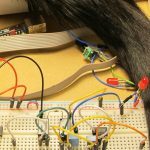 I had some experience with synth modding, so I though its the job just for me! 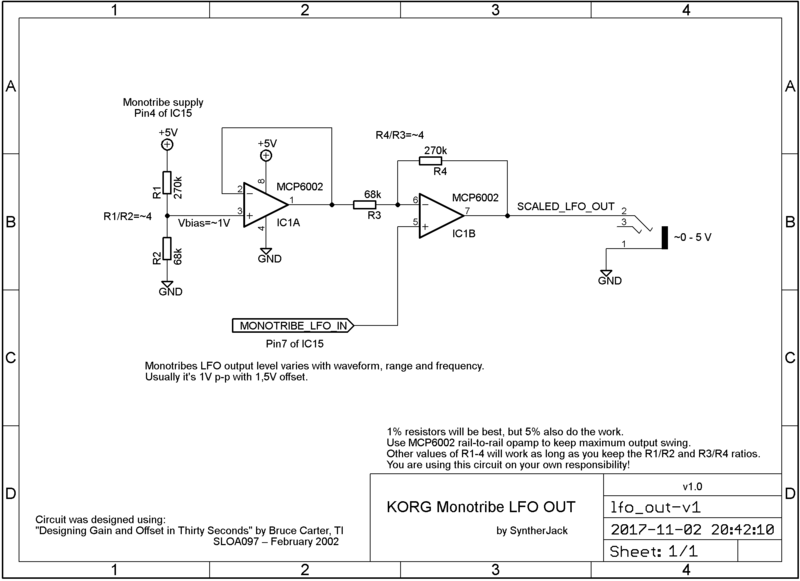 On Muff Wiggler, topic “Korg Monotribe modifications thread” you can read, LFO signal (fed to VCO) is avaliable at pin7 of IC15. It should be easy. 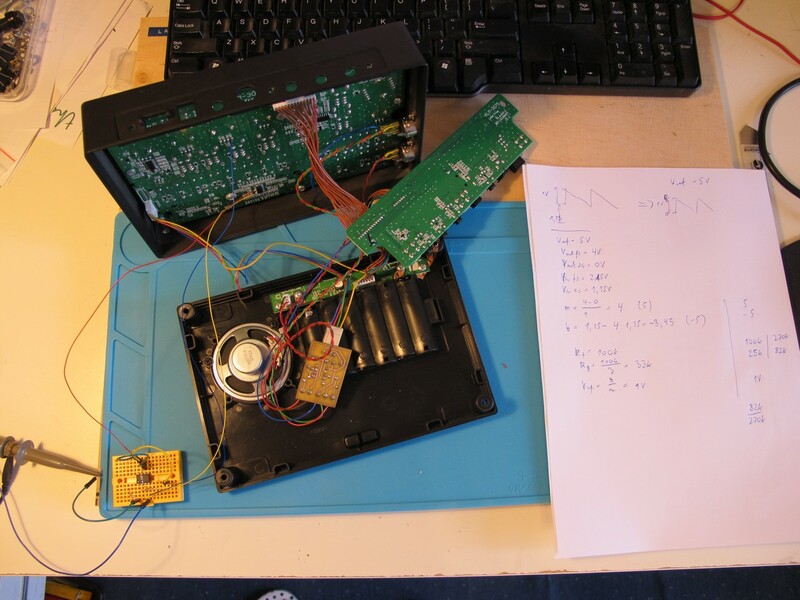 First of all, I disassembled the Monotribe, soldered temporary wires and got to measurements: for three MODE positions – FAST, SLOW and 1-SHOT, three WAVE settings – saw, triangle, square and three RATE potentiometer settings – maximum, middle and lowest. The TARGET switch was on VCO (LFO signal on pin7 is absent if TARGET = VCF) and sequencer was in PLAY mode. Waveforms for SLOW setting looks very good, with almost constant amplitude (1V p-p) and offset (Vbase between 1,0 and 1,3V). A dream for scaling and biasing. For this mode, the highest frequency is around 19Hz, lowest – 0,05Hz (1 cycle per 20 seconds). Seems like a little worse. For FAST mode and maximum RATE setting (over 5kHz frequency, far into audio range), the waveforms are almost unrecognizable, but there is hope for middle RATE setting, where everything looks as it should. As the frequency goes down, the amplitude drops drastically. In the last case (squarewave) the generator stops (which is strange, as LFO signals are told to be generated digitally). The 1-SHOT waveform is visible only with certain RATE settings, corresponding to sequencer TEMPO setting. 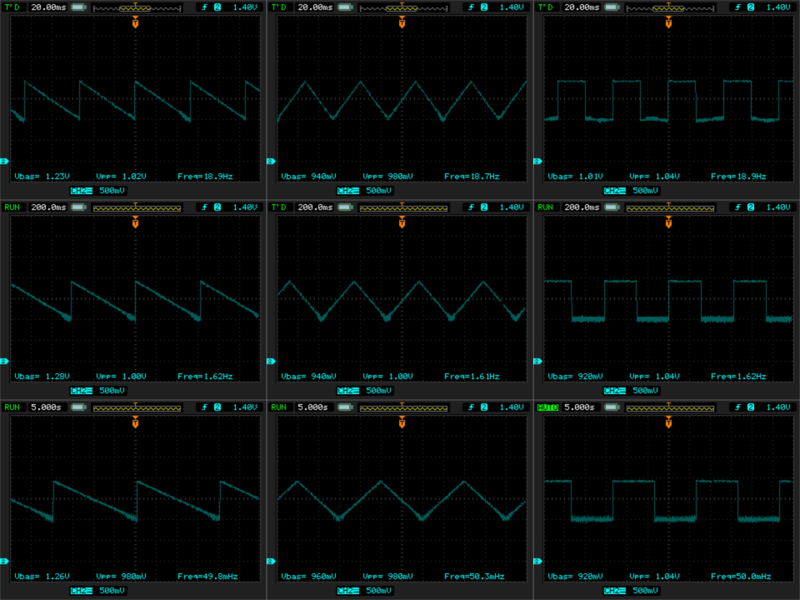 The amplitude is lower and offset greater then for SLOW LFO setting. It is around 0,5V p-p with 1,75V offset (or 1,5V of Vbase). First, I prototyped it on breadboard. 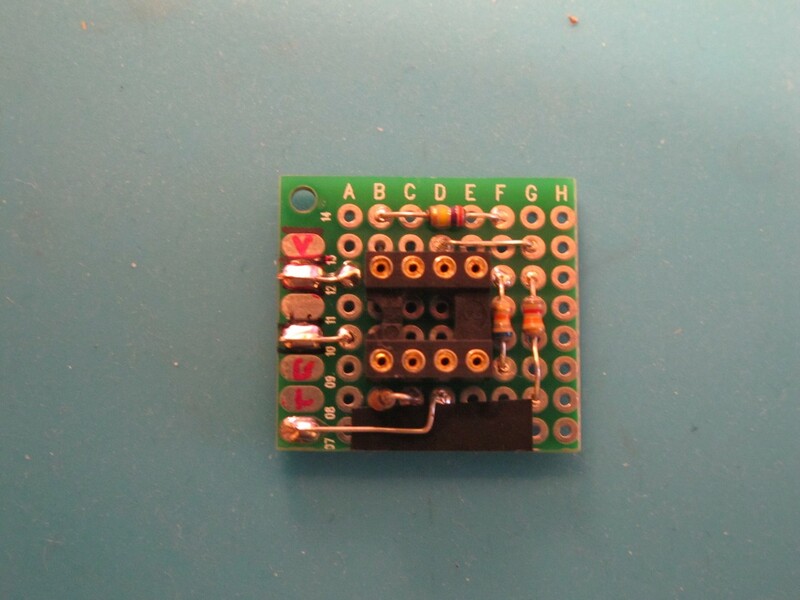 The circuit is using MCP6002 rail-to-rail opamp, to get full 0-5V LFO output swing from 5V supply voltage. Then, I moved to protoboard. 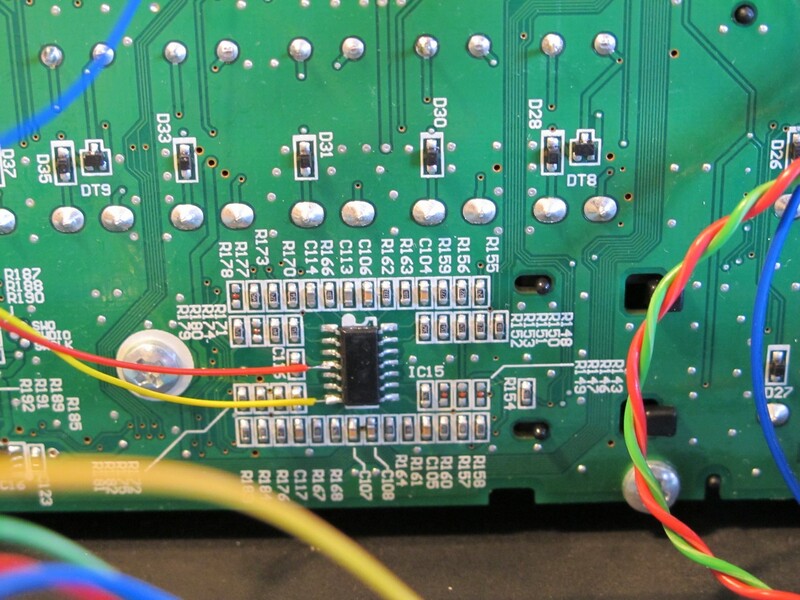 The circuit is so simple, there was no need for dedicated PCB. 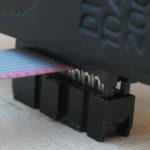 It’s size is 22×25 mm. 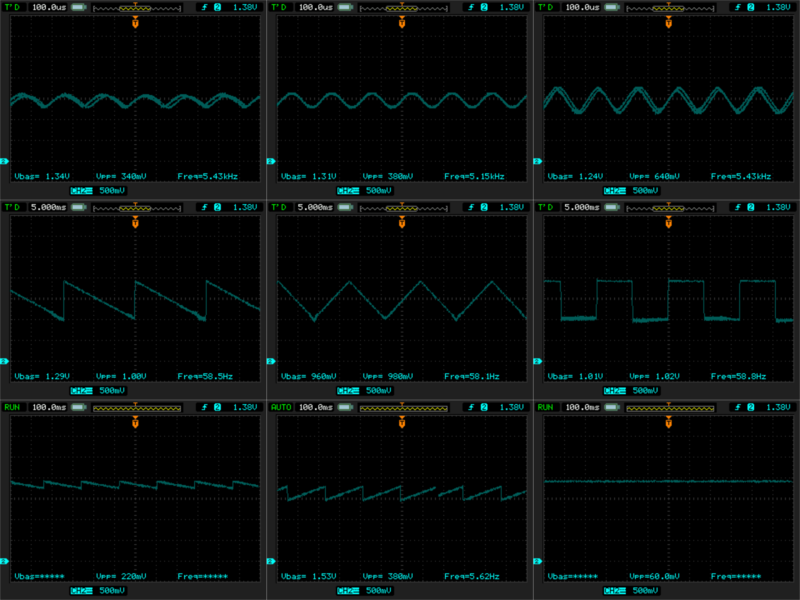 The signals on the installed LFO output looks as following. 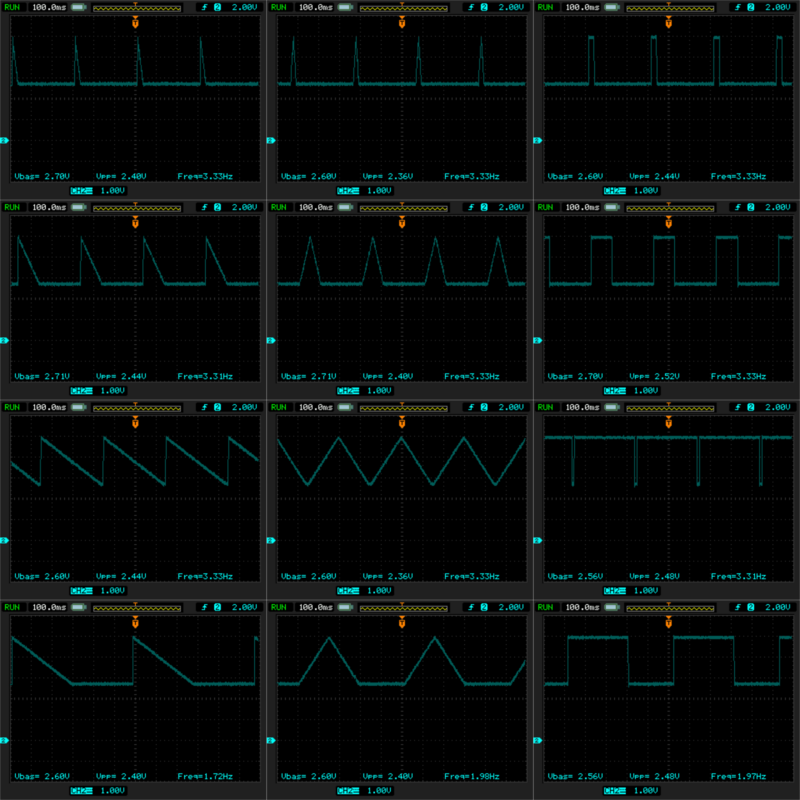 For SLOW mode, output looks almost perfect, with usable range and stable waveforms. For FAST mode, the problems are as in original – distorted waveforms and often unstable for maximum RATE. 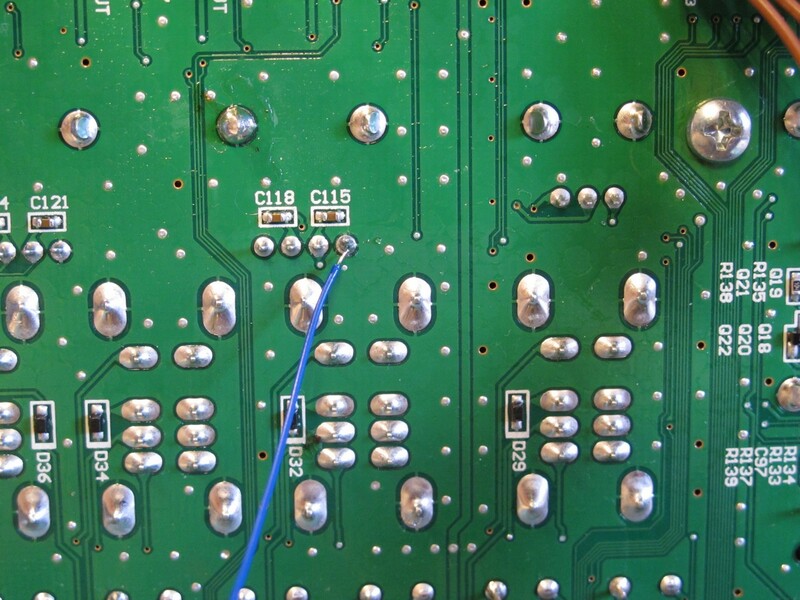 At moderate settings – frequency-related glitches happen sometimes, but still signal is very useful as modulation source. For minimum RATE setting, the offset is greater due to scaling circuit compromises, the levels are also not satisfying – it is better to use LFO in SLOW mode with maximum RATE. 1-shot waveforms look very promising. 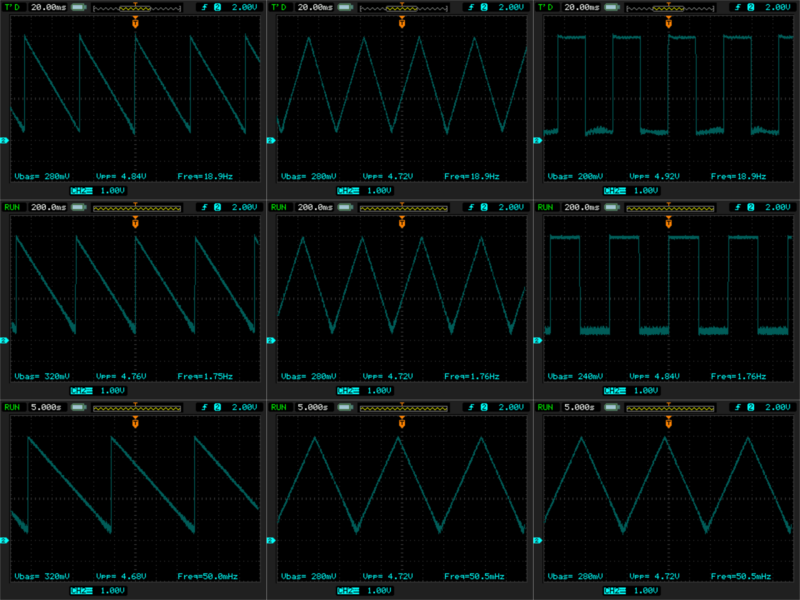 Good-looking shapes, unfortunately over 2,5V of Vbias. Note, that waveform shape is related with sequencer TEMPO. 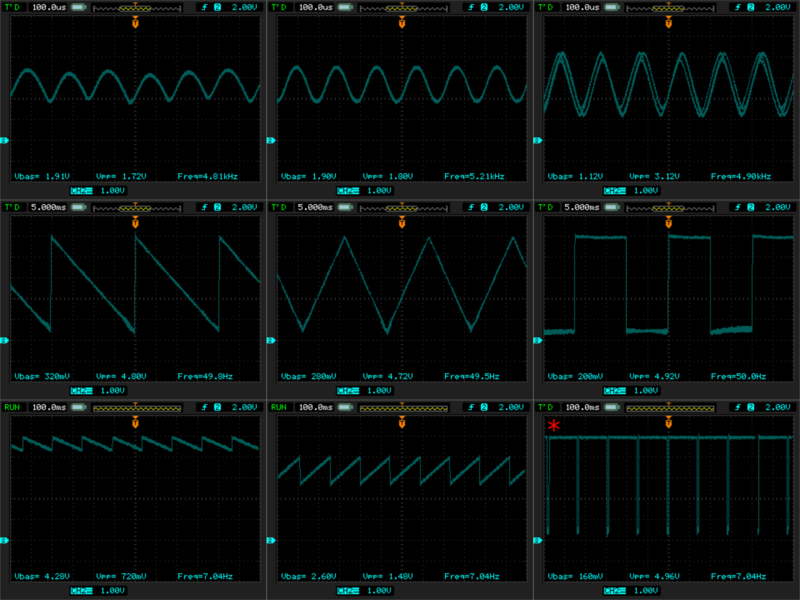 The scaled LFO waveforms for: mode 1-SHOT, waveforms: saw/triangle/square (columns) and three RATE positions: max, middle and lowest (first 3 lines); for the 4th line, the sequencers TEMPO was lowered in comparison to 3rd. 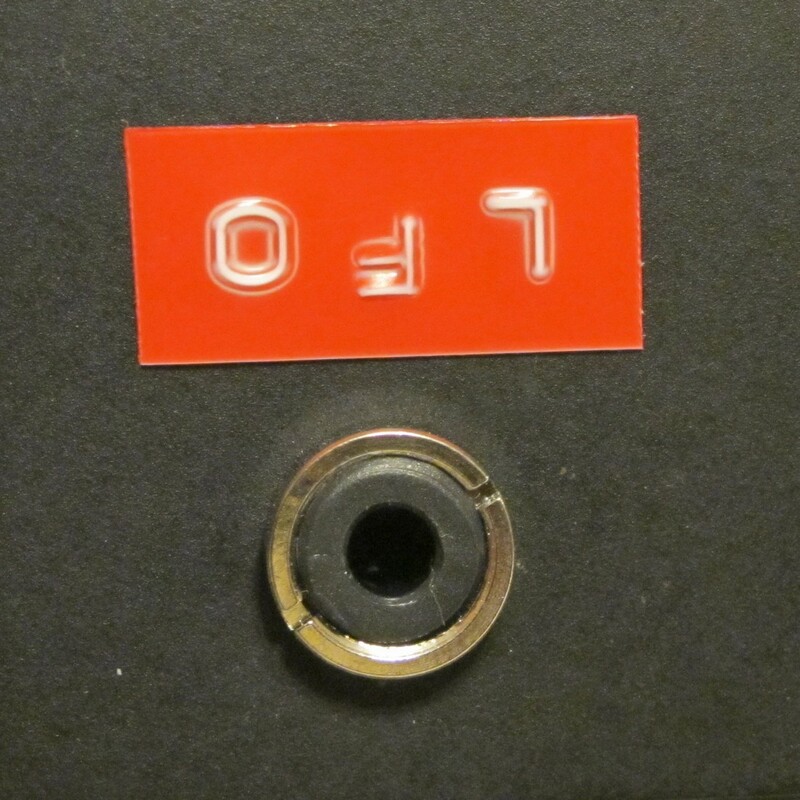 LFO output on the side of Korg Monotribe (socket type: CLIFF FC681374V). 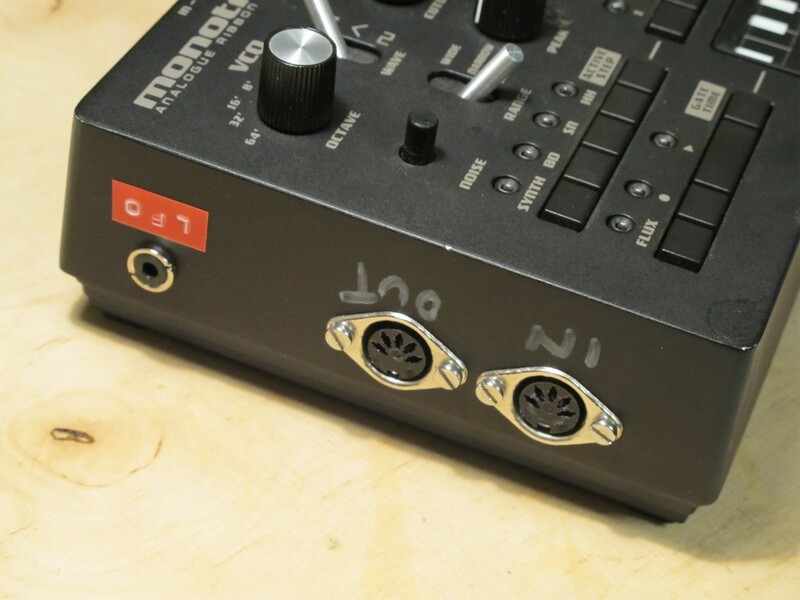 MIDI mod (not mine) is also there. adds nice LFO to your setup. Generally I’m happy. The only thing that could be done better is output range. The Monotribe is powered by 6x AAA, which give more then 5V and it could be possible to power scaling circuit with it. Maybe next time. And remember: use this schematic/info in your own responsibility. Bonjour, j’ai lu avec attention la modification du monotribe. J’ai deux korg volca FM et sample, j’aimerai les réunir dans un seul et meme boitier et si c’est possible mettre dans ce boitier une TR08. A votre avis est ce que c’est possible de tout reunir l’interieur des machines dans un seul coffret. ?